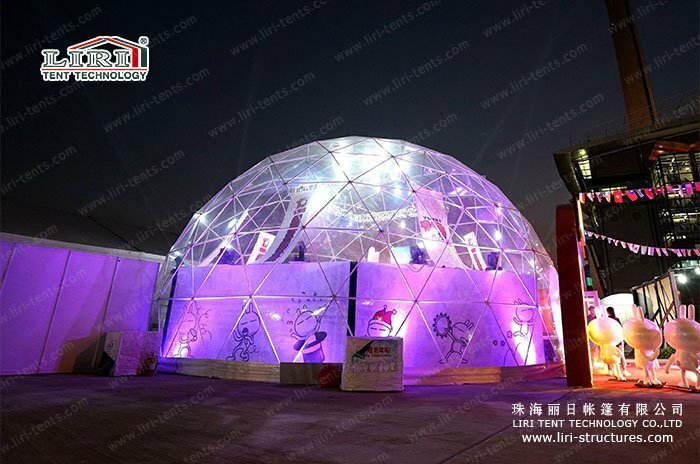 The geodesic dome tent can be widely used for exhibitions, sports events, family gatherings, weddings and other activities. 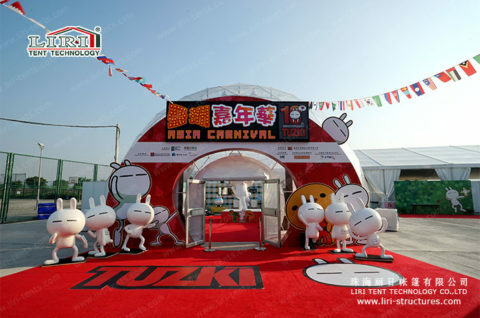 More importantly, it can keep your event from the impact of weather changes and make everything goes on smoothly! As the best brand in China’s marquee tent industry, our company, LIRI TENT, always focus on quality assurance. 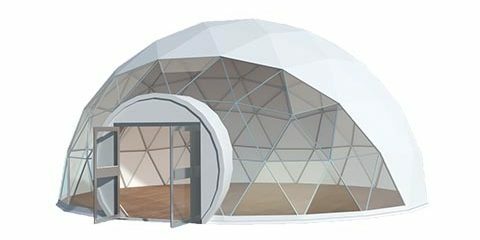 With its unique shape, our geodesic dome tent is warmly welcomed by various events at home and abroad. 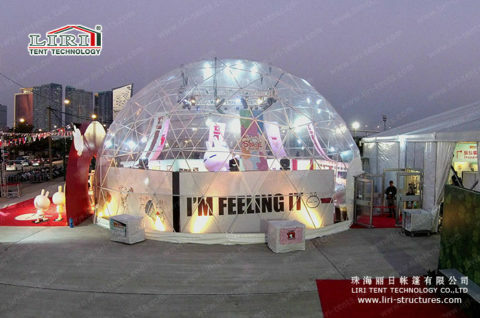 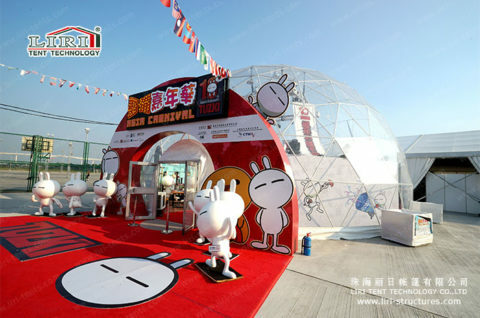 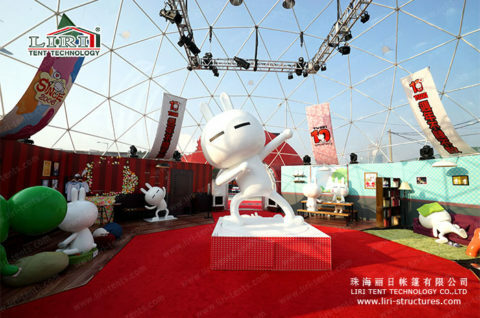 The diameter of the geodesic dome event tent can be customized according to the size of the terrain. So far our company has already produced a geodesic dome event tent with a maximum diameter of 60 meters. There are a rich variety of geodesic dome tent covers available. 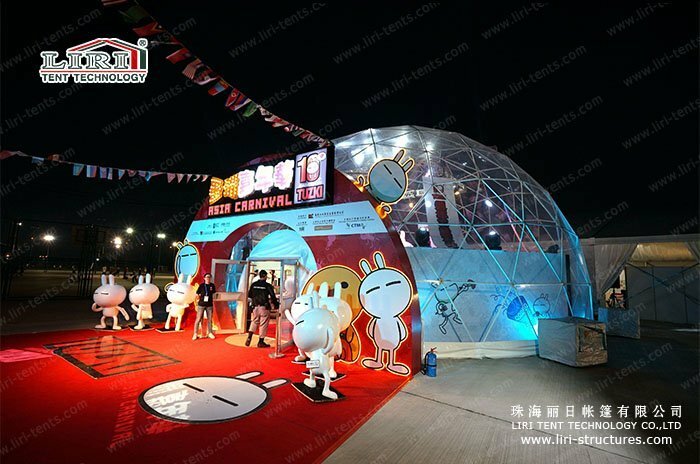 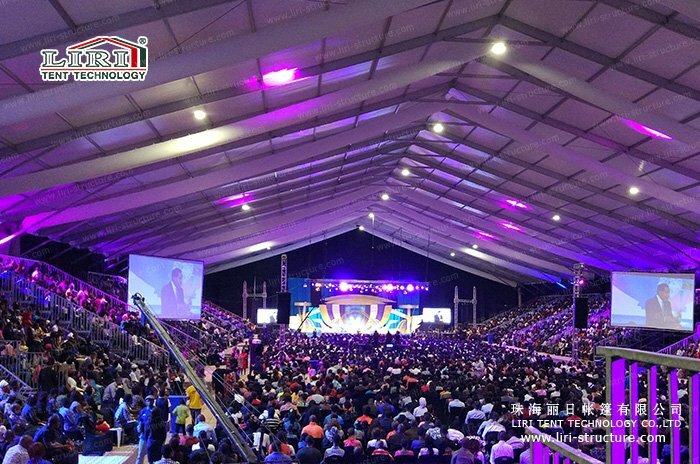 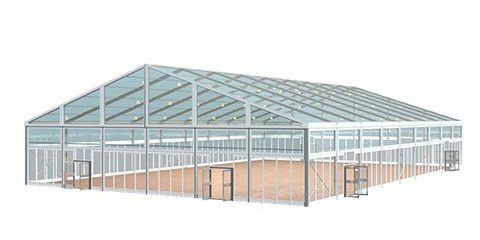 It can be customized as a front-end transparent PVC roof, total block out PVC roof, total transparent PVC roof, printed advertising PVC roof, front open PVC roof and so on. 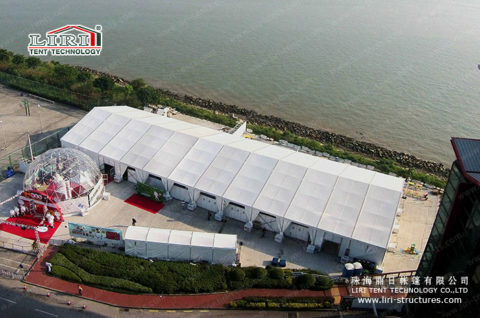 Our roof has great UV resistant and storm resistant ability, which can last 15 years! 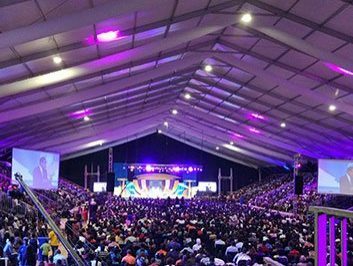 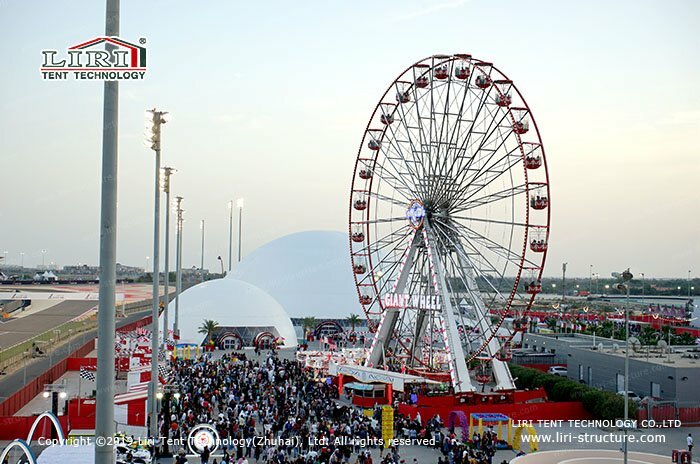 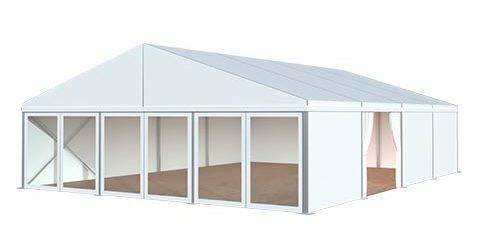 With the creative design of the geodesic dome event tent, we offer our customers a tailor-made tent solution, with a quick installation and demolition time. 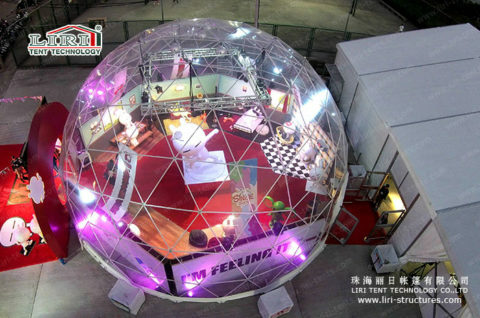 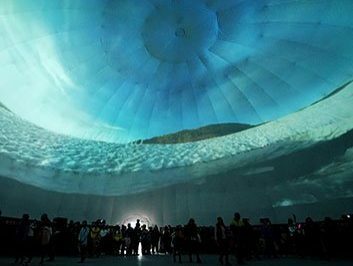 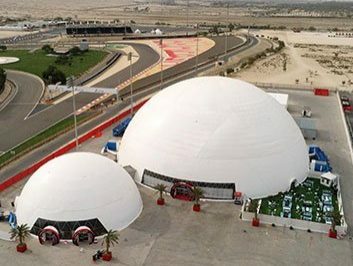 It takes no more than 30 hours to install a 30m diameter half sphere tent. 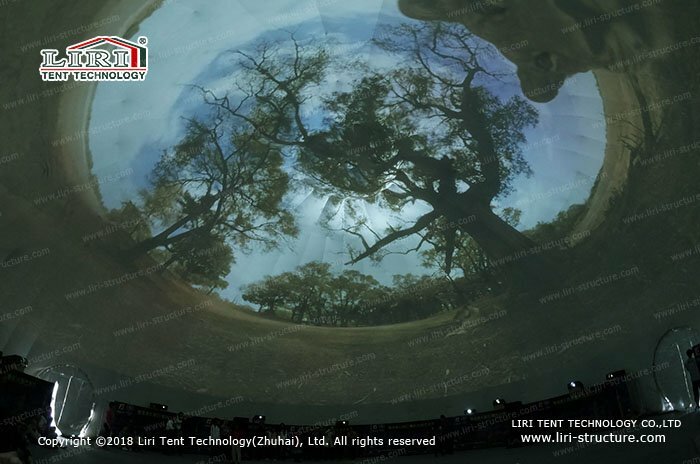 LIRI TENT not only provides you a unique outdoor geodesic dome event tent, but also will bring you a massive visual impact, and light up your every perfect event!